An Oakleigh Chargers premiership player, Morgan experienced a serious hamstring injury in his draft year. 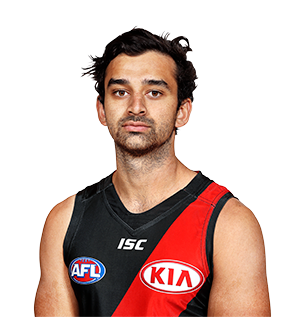 He returned to play in the decider and was selected by the Bombers with pick 29 in the 2015 National Draft. Essendon took a cautious approach to Morgan’s training loads during his first season with the Club to reduce any chance of a recurrence of his hamstring problem. Morgan played ten VFL games in 2016. He is renowned for his elite speed.